As a mechanism for efficient, secure, and trusted exchange, money is becoming increasingly digital. As advances in information and communication technologies (ICTs) extend and amplify the circuits of global finance, they are also changing the everyday lived experience of money from one of face-to-face cash transactions to one of computer-mediated representations, encounters, and transductions. Access to the longtime virtualities of general- and special-purpose currencies, from Euros to airline miles, is moving from static objects like coins or bills and human agents, to electronic media like credit and debit cards and interaction through ATMs, PCs, and mobile phones. The sites and motivations for these transformations of money are diverse: they range from transit systems in megacities seeking to extend their commercial reach, to organizations pursuing outreach to the vast "unbanked" populations of sub-Saharan Africa and the rest of the developing world, to mobile phone companies seeking to add functionality to their devices, to artists and activists raising consciousness through do-it-yourself currencies. Rather than replacing cash and coin, or arriving at one new general-purpose form of money, these changes in ICTs and multiple agendas for innovation in money are accelerating its pluralization. Quasi-moneys and para-currencies operate alongside bank-based electronic moneys as well as telecommunications-based currencies that may have only a tenuous or indirect link to state-issued legal tender. 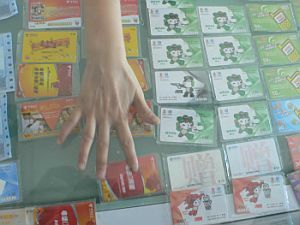 These multiple currencies commingle in people's wallets, restructuring people's experience of money as well as their everyday practices of budgeting and accounting. Keith Hart, Professor of Anthropology, Goldsmiths College; author of The Memory Bank: Money in an Unequal World. Jonathan Donner, social scientist in the Technology for Emerging Markets Group, Microsoft Research India.